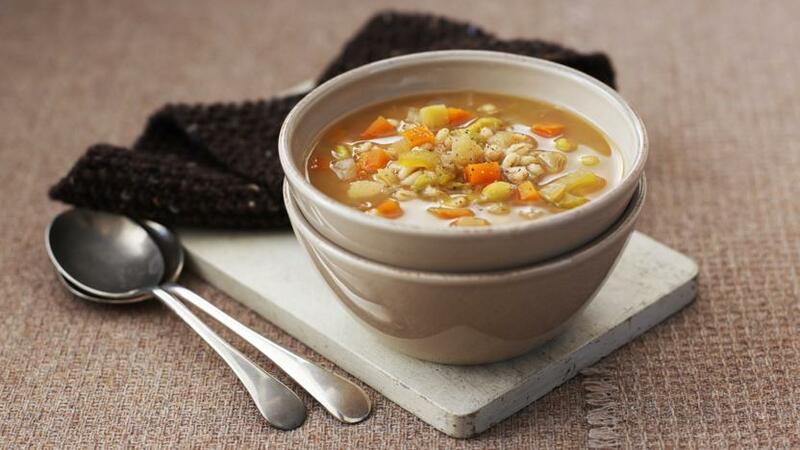 This cheap and cheerful soup is perfect for the slow cooker - simply tip in all the ingredients and cook on high for 6-8 hours (or until the barley is soft). Heat all of the ingredients, except the kale, in a large saucepan until boiling. Reduce the heat and simmer gently for a 2-3 hours, or until the peas and pearl barley are soft. Stir in the kale and cook for a further 10-12 minutes, or until the kale is tender. Season, to taste, with salt and freshly ground black pepper.